It is that time of the year again! SASSIT's Swann Morton Silver Scalpel Award. Winner will be announced at the next refresher. 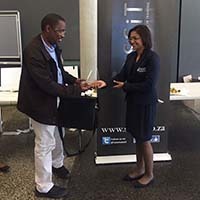 The SASSiT Swann-Morton Silver Scalpel Award for 2017 was presented to Professor Modise Zacharia Koto, Head of General Surgery at Sefako Makgatho Health Sciences University. 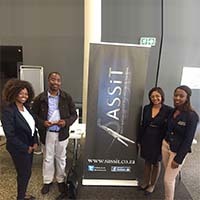 The award was presented to him at the 8thSASSiT Refresher Congress held at the University ofStellenbosch Medical School. 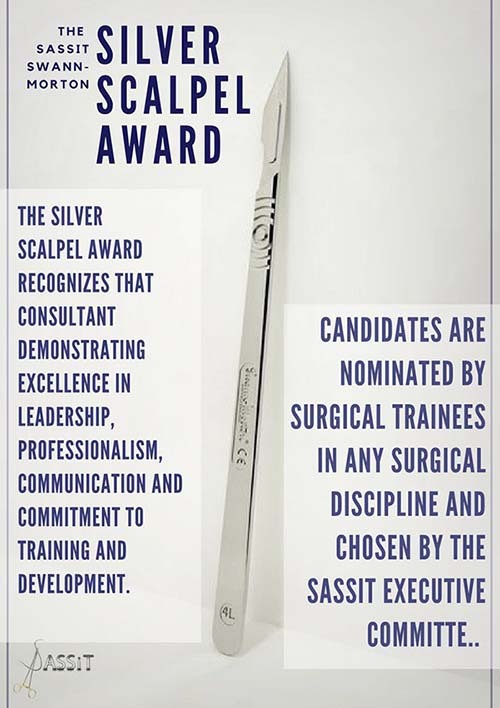 The Silver Scalpel award recognizes that consultant demonstrating excellence in leadership, professionalism, communication and commitment to training and development. Candidates are nominated by surgical trainees in any surgical discipline and chosen by the SASSiT Executive Committee. Professor Koto attained his FCSin 1992. He spent the majority of his career (1994-2011) as the Head of General Surgery at Sebokeng Hospital where he trained many young medical officers and rotating registrars from the University of Witwatersrand. In 2011, Prof Koto attained his FACS degree and later that year, was appointed as the Head of General Surgery at the University of Limpopo, Medunsa Campus (which was re-named Sefako Makgatho Health Sciences University in 2015). Prof Koto’s involvement in surgical training goes far beyond his own university and department. He has been an executive committee member of many surgical societies including ASSA (The Association of Surgeons of South Africa), SASES (South African Society of Endoscopic Surgeons) and SRSSA (The Surgical Research Society of South Africa). He serves on the senate of the College of Medicine of South Africa and as a member of the College of Surgeons on South Africa. It is passion for teaching and developing minimally invasive surgery in South Africa that sets Professor Koto apart.We salute Prof Koto for his contribution to surgical training. He perseverance and dedication as well as all his achievements are truly inspirational.